While H&M doesn’t yet release an annual Ramadan line, it made headlines in September 2015 for becoming one of the first fashion brands to feature a hijab-clad model in one of its adverts – a sign that fashion is finally becoming more inclusive and diverse. The advert featured Mariah Idrissi, a 23-year-old Londoner of Pakistani and Moroccan ancestry who says it feels like women who wear hijabs are “ignored” when it comes to fashion. Speaking to The Fusion about the advert, she confessed she has no idea why she was booked for the job. 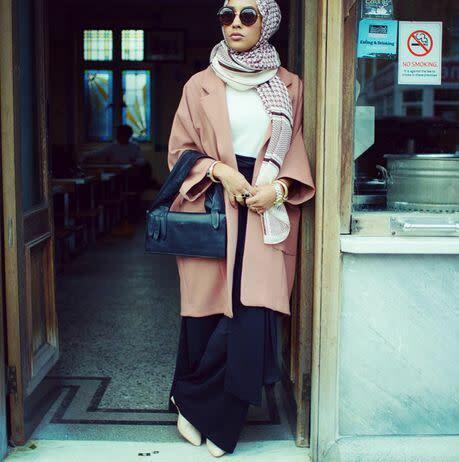 “It might be because hijab fashion has boomed in the last few years and to finally see a hijabi [a woman who wears a hijab] in mainstream fashion is a big achievement,” she said.